So many young women (and even men) with long hair go to great lengths to style their hair. Those who try and fail envy the people who try and succeed. Long hair is generally believed to be versatile in terms of styling. There is a wide range of hairstyles that can be achieved with waist-length hair. There are also as many styling tools for this purpose. 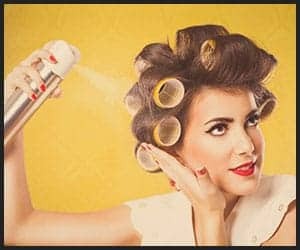 Although a curling iron or flat iron will give you gorgeous curls or waves, hot rollers will do the same job (or even better) in a fraction of the time and without giving you sore arms. You can wash your hair the night before and either blow-dry it before going to bed or sleep on it overnight so it is dry the next morning. This will help to prevent unwanted tangles while removing the hot rollers from long hair once they have cooled. It is preferable to use a paddle brush for this purpose. A boar bristle brush is recommended for hair that is prone to knots and frizz. 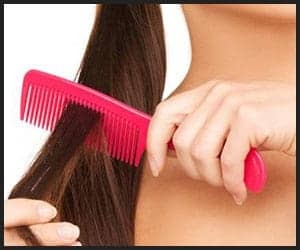 A wide-toothed comb is a worthy alternative as it can be used to detangle long hair in preparation for styling it with hot rollers. Another advantage of brushing or combing long hair before using hot rollers is it eliminates the need to brush your hair after styling it. Although small hot rollers will give you tight curls, they are not wide enough to accommodate the whole length of your hair. This is why medium and large hot rollers are preferable for long hair. They will not only accommodate the full length of your hair but will also give you elegant waves suitable for any occasion. Invest in roller sets with medium, large, and jumbo roller sizes. 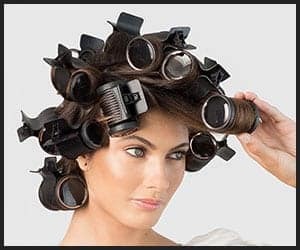 For each curling session, people with long hair require a minimum of 10 rollers to style their hair. If you use less than 10 rollers, your curls or waves will not be evenly spaced out and the style will look unattractive. On average, 10-12 rollers should help you achieve a style that will turn heads whether you are attending a coffee morning, book club meeting, or charity event. To help your curls or waves to last throughout the day, it is necessary to leave the rollers in your hair for at least 20 minutes. If your hair is thick or curly, the rollers should be left in longer than 20 minutes. Long hair takes longer than short hair to assume the curl or wave pattern of the hot rollers. Leaving the rollers in the hair even after the rollers have cooled allows your waist-long strands to turn into glorious curls perfect for any college reunion or wedding party. You have to take great care when releasing your long tresses from the cooled hot rollers. If you do this too quickly, your hair can get pulled by or trapped in the roller. To avoid this, unwind each section of your hair from the roller in the shape of the curl. Remember to do it slowly and gently. This way, the curl pattern will not be ruined and also retain its shape for many hours. You can spray a light mist of hairspray while the rollers are still in your hair or after removing them. It will help your curls or waves to hold longer. Typically, a light-hold or medium-hold hairspray will suffice for long hair. But, if you have fine hair, you should opt for a strong-hold hairspray otherwise; your curls will fall apart sooner than you expect. If you are someone who styles her long tresses occasionally, then you must use a hairspray each time you use the hot rollers. However, the hairspray can be skipped if you curl your hair with hot rollers every day. 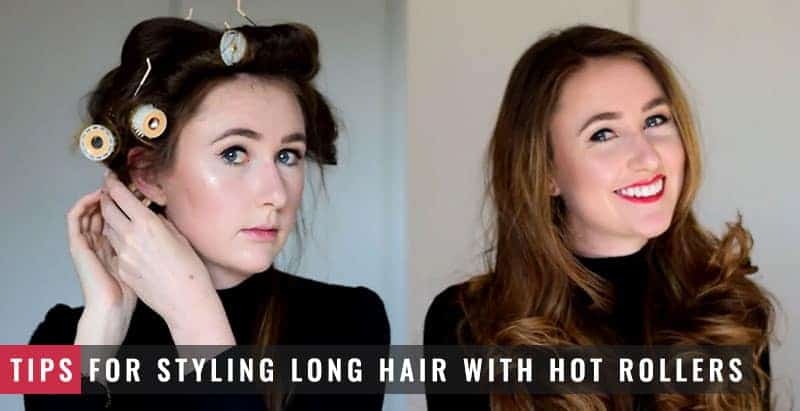 Unlike short hair, long hair will hold curls without the help of hairspray if it is styled with hot rollers daily (although this is not advisable). Long hair has to be rolled differently than short hair. Therefore, pay attention to how you wrap your long tresses around the hot rollers. First, part your hair into sections no wider than 2 inches. Place the hot roller in the center of the section. Wrap the lower end of that section around the hot roller. Roll up the rest of the section away from the face and up to the scalp. Secure the roller in place with a claw clip or bobby pin. Make sure that the ends of your hair are neatly tucked in. This rolling technique is appropriate for long hair because it gives your hair more lift at the roots effortlessly. 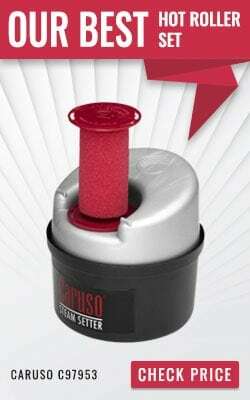 Different roller sizes allow you the flexibility to experiment with different curly styles. Straight long hair can be styled much faster. Curly long hair can be toned down much easier. Styling with hot rollers does not cause arm fatigue. 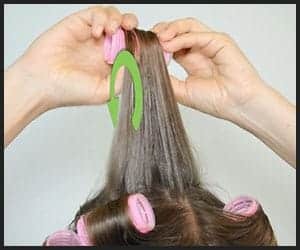 To reap the advantages of hot rollers for long hair, wash and dry your hair a day ahead and detangle it prior to setting the hot rollers in it. Make sure you have enough medium and large hot rollers and spray a light mist of medium-hold hairspray for a better hold. Keep the hot rollers in your hair long after they have cooled and remove them in the shape of your curls. Last but not least, use the right rolling technique for long hair and you do not have to worry about your curls for the rest of the day.